Ethiopia has a very long history – one of the longest in the world. Ethiopians know that. But there are some non-Ethiopians out there that have gotten an insight into that history, have actually liked it so much and have even gone on to name things and animals after Ethiopia, Abyssinia or someplace related to Ethiopia. The SS Abyssinia was an English mail liner. It was launched in 1870 and was originally the property of Cunard Line, a leading operator of passenger ships that plied the North Atlantic waters for over century (and is still in operation). Among its substantial fleet was the RMS Carpathia that became famous for rescuing survivors from the ill-fated Titanic. 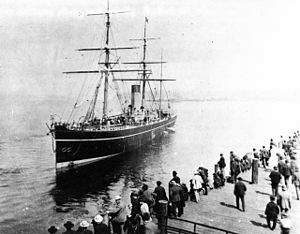 The SS Abyssinia was sailing from New York to Liverpool when its cargo of cotton caught fire off the coast of Newfoundland at 12:40 PM on December 18th, 1891. Captain G.S. Murray ordered the ship to be abandoned when it became obvious that they couldn’t put the fire out. All passengers and crew were moved on to another liner that had spotted the fire, the Spree, by 4:15 PM. SS Abyssinia sunk shortly after. 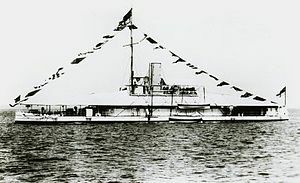 The HMS Abyssinia was a boat that was built specifically to defend Bombay (Mumbai) harbor which was then in British India. She too was launched in 1870. She was built at a cost of £116,549. Sadly, the Abyssinia spent her entire career at anchor in Bombay harbor, apart from short trips for firing practice. She was sold as scrap when the Indian Harbor Defense Service was discontinued in 1903. The HMS Magdala was another ship that was built in 1870. The name was given to her to commemorate the Battle of Magdala (1867) between Abyssinian and British soldiers where Emperor Tewodros II committed suicide rather than face surrender. Ironically, the pistol he shot himself with was a present from Queen Victoria herself – the same queen that had sent the British forces to capture him. HMS Magdala was made as a companion for HMS Abyssinia and was made specifically for the defense of Bombay harbor. She cost £132,400. She too spent her entire career at anchor in Bombay harbor except for gunnery practice. She was finally sold for scrap in 1903. One of the most prestigious derby’s in the world is the Perth Derby. Jockeys and horses alike come from all over the world to take chance at the $1.5 million purse. 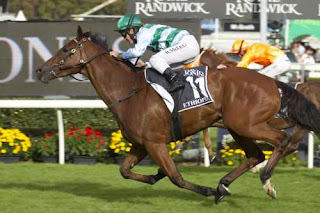 The 2012 champion was a four-year-old horse named Ethiopia. He caused a major upset by beating all the favorites, who had more experience racing, after only four starts – not unlike the Ethiopian athletes that continue to upset world record holders time and time again. 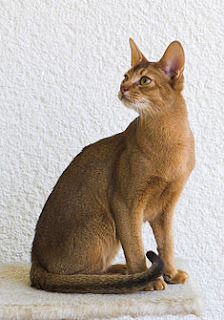 While Ethiopia is blessed with abundant flora and fauna, the Abyssinian cat isn’t one of them. Although the name suggests that it came from Ethiopia, it actually never did - or so they say. Scientists claim to have followed the DNA of the cat and traced it to the coast of the Indian Ocean. But the first cat to be named an Abyssinian was a kitten that a British soldier brought back home when he returned from Alexandria, Egypt in 1868. The kitten’s name? … It was “Zula”. Coincidence? For those not in the know, Zula (Zeila in Amharic) was the main port for the Axumite Empire and was a part of Ethiopia. Many are going to find it hard to believe that it was an Ethiopian commercial bank that was the first indigenous bank to be established in Africa. It was created, established, managed and owned by Ethiopians. The bank’s name: Bank of Ethiopia. But let’s not get ahead of ourselves, and let’s start from the beginning of the proud African story entitled “Ethiopia Bank History”. The first Ethiopian bank to open its doors was the Bank of Abyssinia. It was inaugurated by Emperor Menilik II on February 16, 1906. Although it was the first one in the long Ethiopia bank sequence, it was actually a branch of the National Bank of Egypt, a British bank, and totally managed by them. An agreement had been reached between Emperor Menilik and the bank officials to introduce modern banking to Ethiopia and it was given a lot of concessions and leeway. For example, the Bank of Abyssinia was guaranteed to no competition from any Ethiopian bank or otherwise for a concession period of 50 years. And during those fifty years it had the full right to issue currency notes and coins. In short it had full control on the country’s currency exchange, both locally and internationally. Add to this the fact that it kept all profits and was allowed to exchange money for gold and silver freely meant that it was a sure thing that it would be making a money hand over fist. But that wasn’t true. Ethiopians being new to the banking concept didn’t appreciate the culture of having to give one’s hard earned money to another for safekeeping. And even when the Bank of Abyssinia had opened branches in several other Ethiopian cities, it couldn’t make a profit until 1914 and in 1919, 1920 and from 1924 onwards because it only increased the cost that was incurred by the bank’s administrative personnel. After staggering along for a few more years, the Bank of Abyssinia was officially liquidated in 1931. That same year heralded the birth of the first Ethiopian national bank, the Bank of Ethiopia. It was established August 29th, 1931 by official decree shortly after Emperor Hailesellasie I’s ascent to the throne. It became the first African bank that was truly African as it was owned and managed by Ethiopia and Ethiopians. It took over all the activities of the Bank of Abyssinia and was performing strongly right up to the Italian invasion in 1935. Sadly very little has been documented about this bank, and a lot needs to be done before this proud Ethiopian and African history is forgotten. With the Italian troops came Italian banks, and with their withdrawal in 1941 came another foreign bank, Barclays Bank that was to cater to the British troops that had helped liberate Ethiopia. The second Ethiopian national bank started its work on April 15th, 1945. 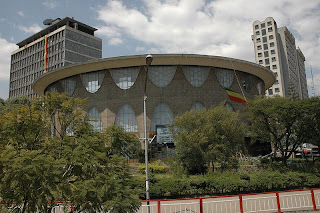 It was called the State Bank of Ethiopia. This bank also had to cease to exist as it was deemed necessary to split the functions of the bank. 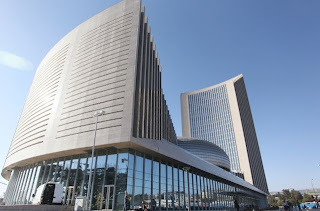 It was therefore with the introduction of the 1963 Ethiopian Monetary Law that the first Ethiopian commercial bank was established: Commercial Bank of Ethiopia. 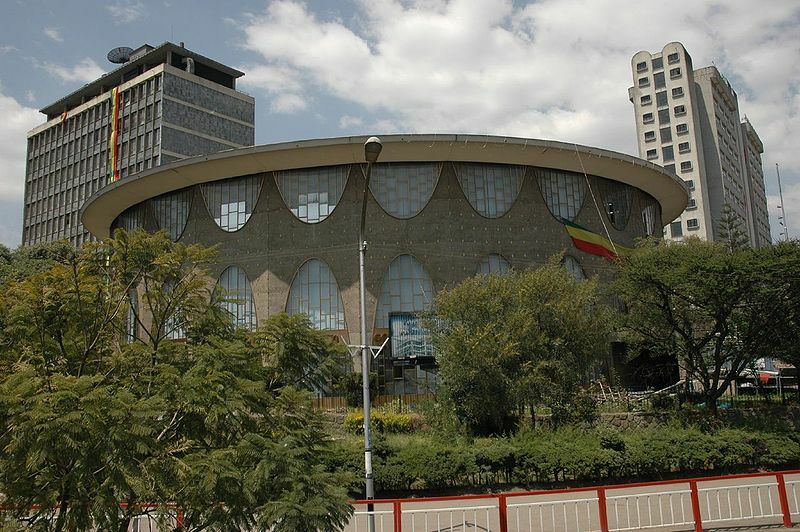 The role of a central bank was given to the National Bank of Ethiopia. These two banks exist to date and have been joined by a multitude of private and government owned banks. 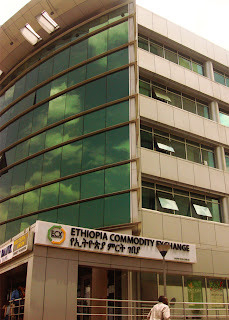 Before 2008, in Ethiopia commodity exchange was something that never been heard of. 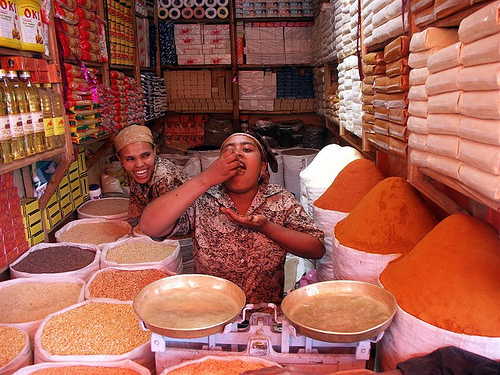 Nobody could imagine a central market where traders could do business in commodity options. 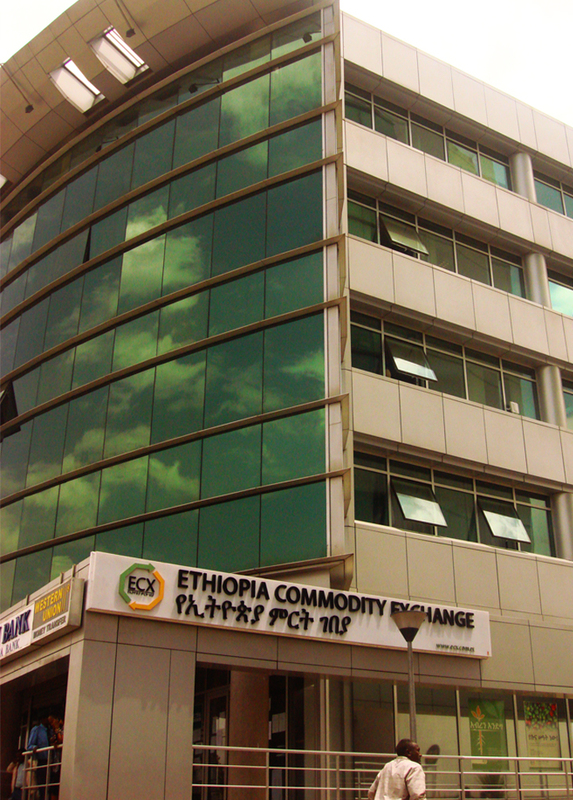 But in April of that year, the Ethiopian Commodity Exchange opened its doors and became the first place of its kind on the African continent, where commodity brokers could deal in futures trading. The Ethiopian Commodity Exchange (ECX) was a project that was led, and eventually made into becoming a reality, by Dr. Eleni Gebremedhin, a PhD in Economics, who also has an extensive working experience and even more impressive curriculum vitae. Among her achievements are over 15 years of experience in the African agricultural markets and various high-level posts in United Nations and the International Food Policy Research Institute in Washington D.C.
Another key player in this project was another Dr. Bahart Kulkarni, also a PhD in Economics. The Indian national first started in the project to bring the Ethiopia commodity exchange market into being by taking on a role of advisor to the Ethiopian government. He then moved on to actually setting up the commodity futures trading and is presently working on research activities and finding ways to implement the same project in other African countries. Now with the ECX having electronic displays in public places and across cities all over the country and coupled with mobile phone technology the poor farmers might stand a chance at earning their well deserved incomes. And this would in turn enable to create wealth down in the lowest farmers’ case, as was her intent when Dr. Eleni made her presentation at TedTalks in 2007. Addis Ababa, Ethiopia is a destination that many would flock to if they only knew how much of a pearl of a city it is. To look at it today, one can’t help but imagine how people even survived just as recently as ten years ago. Roads that were just patches of asphalt every few meters have become 8 –lane highways (Bole to Megenagna is a good example. Anyone that can remember that thin, puny asphalt road will know what I am talking about. Another example is the 22 Mazoria to Bole Holy Savior of the World Church where cars passed one another so closely one could actually hear, and partake in, conversations in the other car.) Today, the great Bole Road, Addis Ababa’s equivalent to the “Main Street” of many metropolitan cities around the world, is being plowed again to make more room for more traffic, to embrace a new flyover and to even be the launching ground for Ethiopia’s first ever metro service. One other thing about Addis Ababa that is changing rapidly is the skyline. I personally remember when we used to make appointments to meet friends near some “addisu hintsa” or “new building”. Today, it would make no sense as there is a new building going up at almost every 300 meter intervals. But, as this city slowly wakes up from a slumber of a hundred years, there are some amazing facts about Addis that few people realize. Below are just a handful that I have been able to find out doing some basic research, and hope that others will add to it too. · We are all from Addis Ababa, Ethiopia: While most people might have read about Lucy and Selam (mentioned below), a little known fact is that Addis Ababa, Ethiopia, the capital city itself, could actually be the point of origin of the human species. The whole world was convinced that since most of the fossils and skeletons were found in the Afar region the origin of mankind too was somewhere in the northeast of Ethiopia. But, recent studies in DNA1 have actually shown that mankind in fact came from somewhere a little more southern than there, somewhere around Addis Ababa2. In one study DNA taken from approximately 1,000 people showed that as one went further away from the city, the genetic variety declined rapidly and thus also enabled a drawing of the map that shows how man migrated out of Africa. · Home to Lucy and Selam and MORE: Everyone knows or has heard about the fact that Ethiopia is the birthplace of mankind. Skeletons have been, and continue to be, found in the Afar region of Ethiopia and all the way south of the country along the East African Rift Valley. 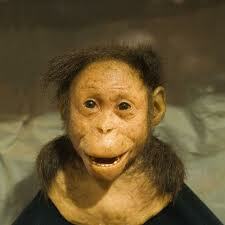 The skeletons of Lucy (Australopithecus afarensis) discovered in 1974 and estimated to have lived 3.2 million years ago and her “daughter” Selam (also Australopithecus afarensis) who had died at just three years old, but also lived 3.3 million years ago (approximately 500,000 years before Lucy) were discovered in Ethiopia and can be seen on display at the National Museum in Addis Ababa. 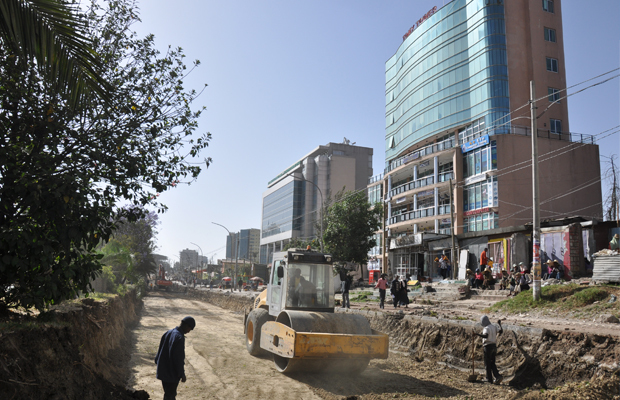 · The highest city in Africa: Addis Ababa Ethiopia, lies at a height of 2,300 meters above sea level. 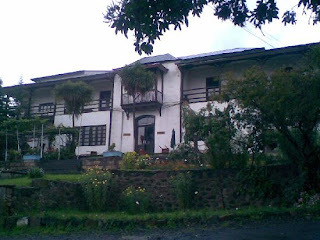 Although the city has now spread vastly, its lowest point, around Bole International Airport is at 2326 meters above sea level while its highest point is the Entoto Mountain, at 3,000 meters the birthplace of the city when Empress Etegue Taitu Bitul chose the spot for her husband Emperor Menilik II in 1886. · The First Royal Hotel: As mentioned above, Empress Taitu was the main reason that Addis Ababa was able to become the capital city of Ethiopia. Before 1906 there was no such thing as a hotel in Ethiopia. It was considered a shameful act to accept money from a person that had dined at ones table, let alone to make a business of it. 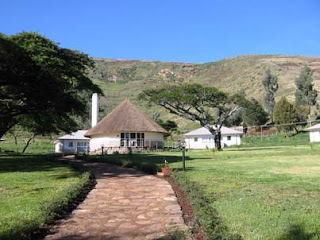 But that didn’t stop the Empress from going ahead, sharing her husband’s love for modernization, and opening the first hotel owned by an African empress, “The Etegue Taitu Hotel” in 1906. When she couldn’t find any clients to come and dine at her hotel, the wise Empress convinced the emperor to make it a point to bring back his ministers for refreshing meals and drinks after meetings and pay their tab. In Ethiopian custom, when one has settled a tab inviting someone else, the invitee will take offence if he doesn’t take care of the bill the next time round. Thus, the business took off when the ministers started bending backwards to have the honor of paying for the emperor and then for their peers. Once the general population saw that going into hotels was “ok-ed” by the royals and the ministers the custom of going into hotels became more acceptable. The hotel is still open to customers today and is doing a thriving business. 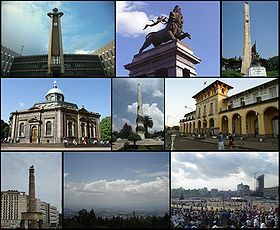 · The Capital of Africa: Addis Ababa, Ethiopia is known as the capital of Africa. This is due to the large number of embassies and global delegations that are present in the city. 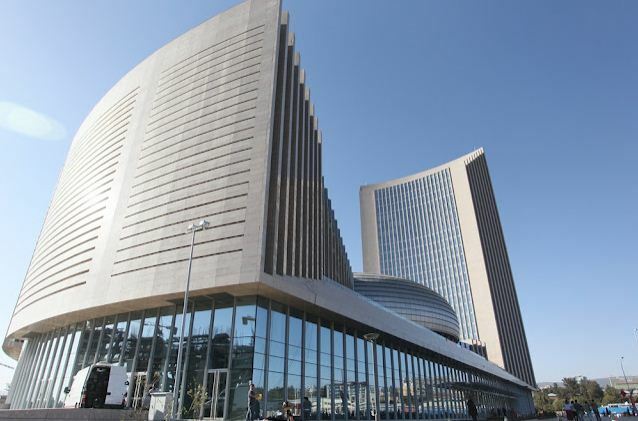 It is also home to Africa’s largest governing body the African Union (AU) and the headquarters of the United Nations Economic Commission for Africa (UNECA). This has made the city a place where people from different races, religions and backgrounds rub shoulders without an eyebrow being raised. · Addis Ababa Fistula Hospital: This hospital is the only one in the world that is dedicated to the care of women that are affected by this illness. Established in 1974, by a New Zealand and Australian obstetrician/gynecologist couple Drs. Reginald and Catherine Hamlin, the hospital still saves women from the pain, shame and ostracization and has an impressive 90% success rate. · Home to the Federation of African Societies of Chemistry (FASC): This federation was established and is headquartered, in Addis Ababa, Ethiopia in 2006 to enable the concentration of all the African knowledge and talent in the field of chemistry and finding a way to use it to help in the development of continent. · Home to the Largest Open Air Market: They say that no one will come back empty-handed from Merkato, the largest open air market in Africa. Everything from secondhand nails and bolts to spare parts for the largest machineries can be found there. I am yet to find a person who knows more than just a few pockets of this huge maze in the capital city. As the city continues I’m sure there will be more “firsts” and other amazing facts to add to this list. Any new comments or recommendations are very welcome.